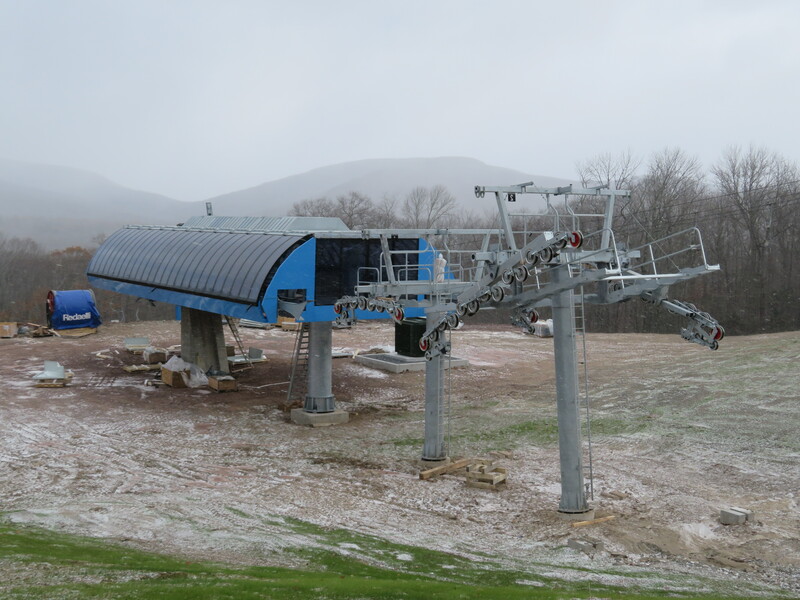 The first gondola in the Catskill Mountains stands nearly complete at Belleayre Mountain, owned and operated by New York State. 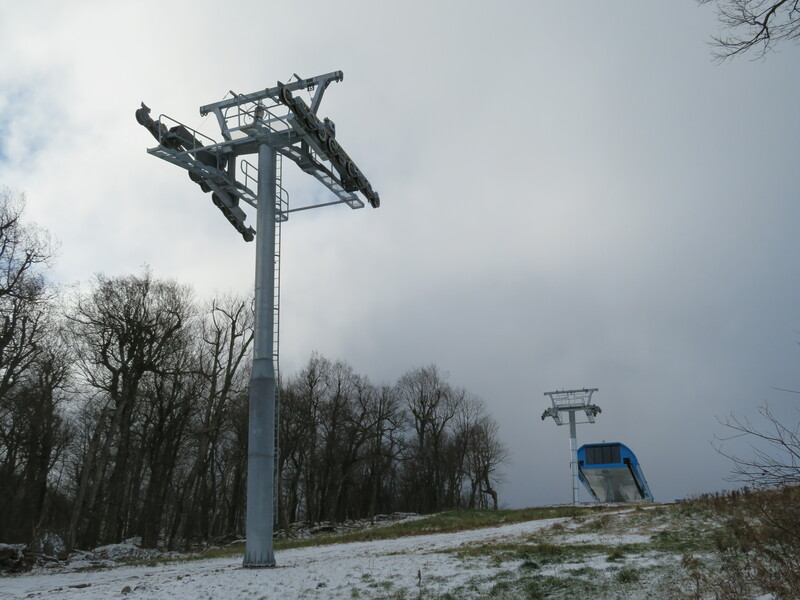 Governor Andrew Cuomo surprised many back in February when he committed $8 million in public money to erect a gondola and make other improvements at Belleayre, the smallest of New York’s three state-owned ski resorts. 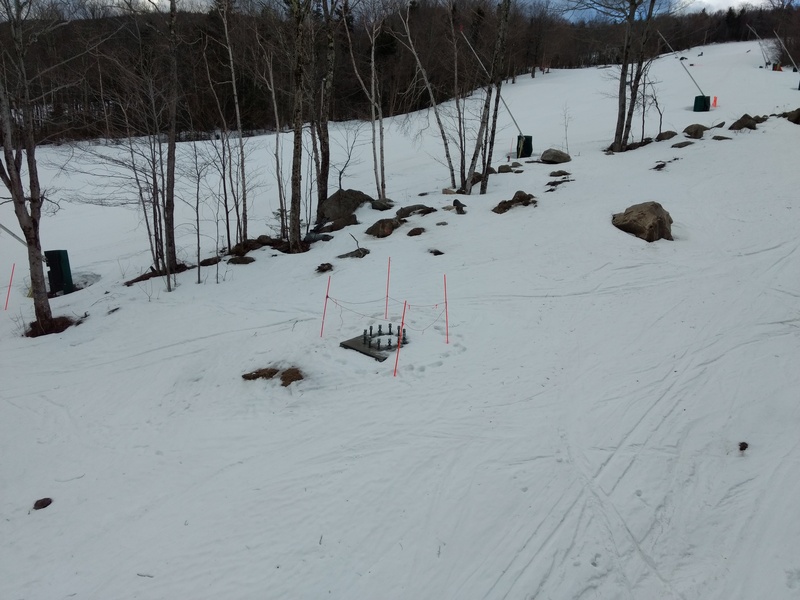 Reaction was swift with a vocal group of critics questioning the use of funds at a mountain with a modest 135,000 annual skier visits. 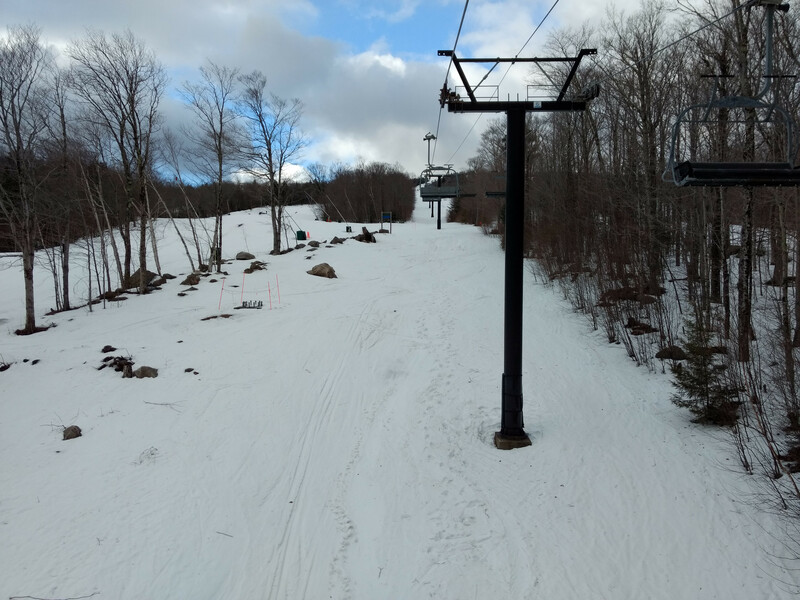 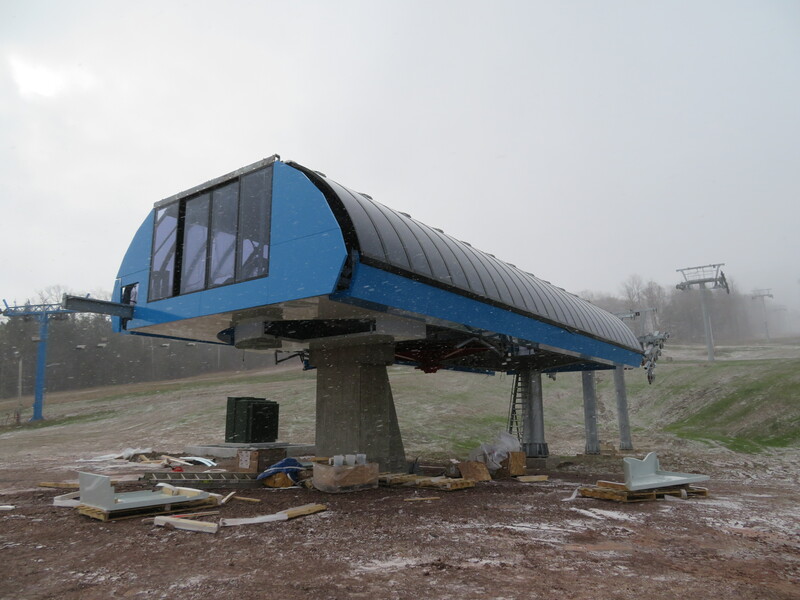 “Gondola to nowhere,” one user wrote on the NY Ski Blog. 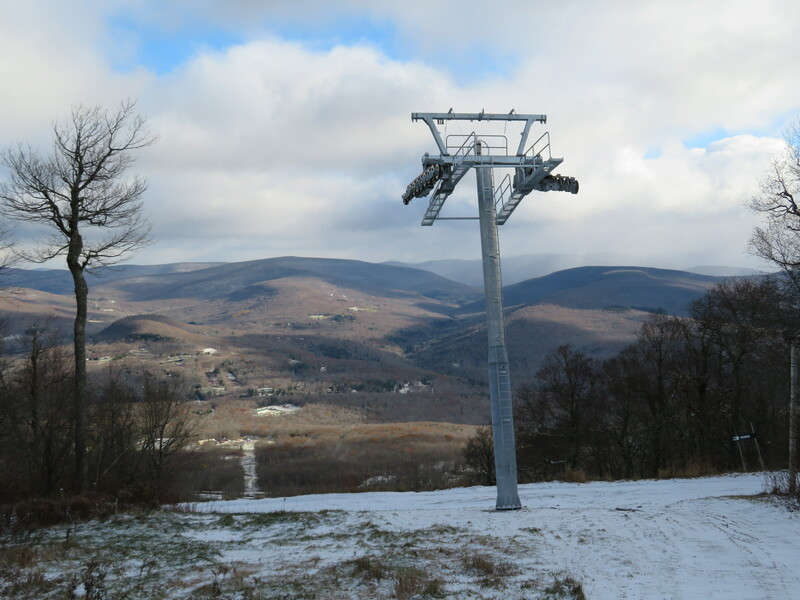 “The stupidest lift ever built in the world,” said another passionate New Yorker. 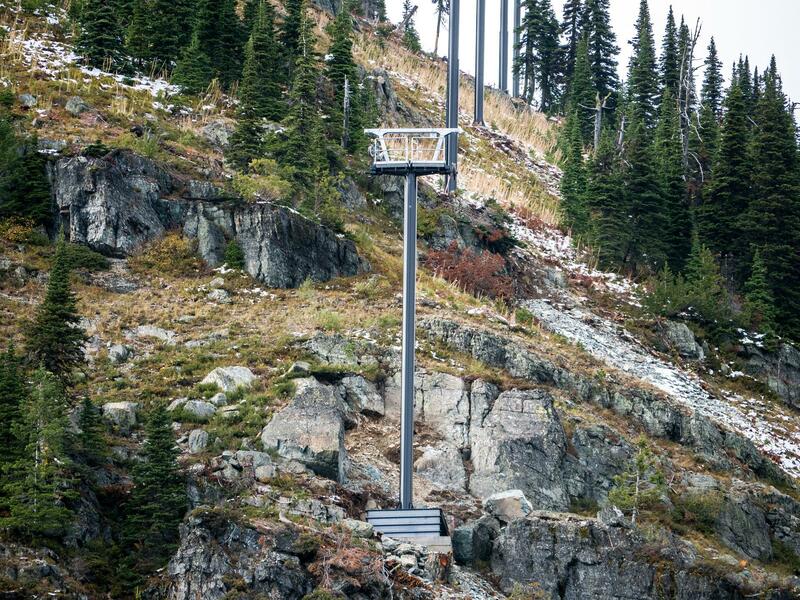 Yet another, simply “a waste.” Then came an anti-gondola petition. 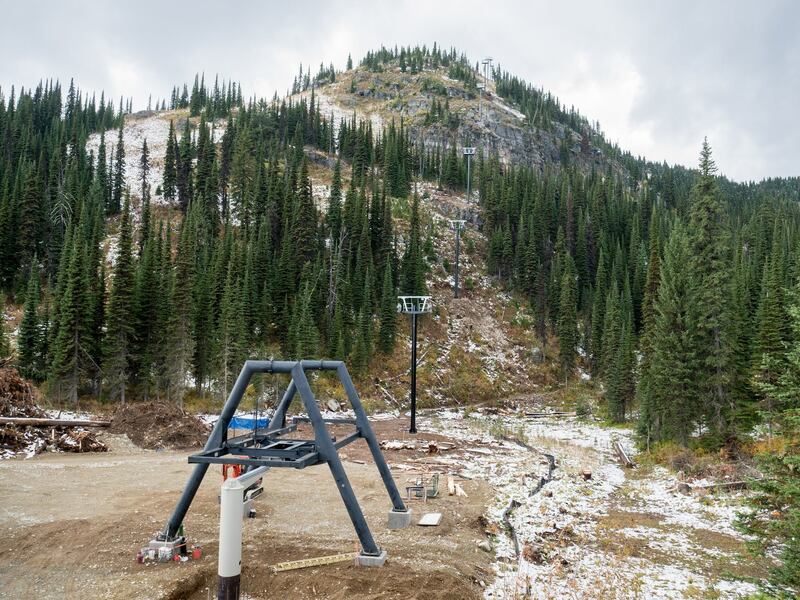 The Olympic Regional Development Authority stuck to its guns and Doppelmayr USA won the contract, beginning work on June 21st. 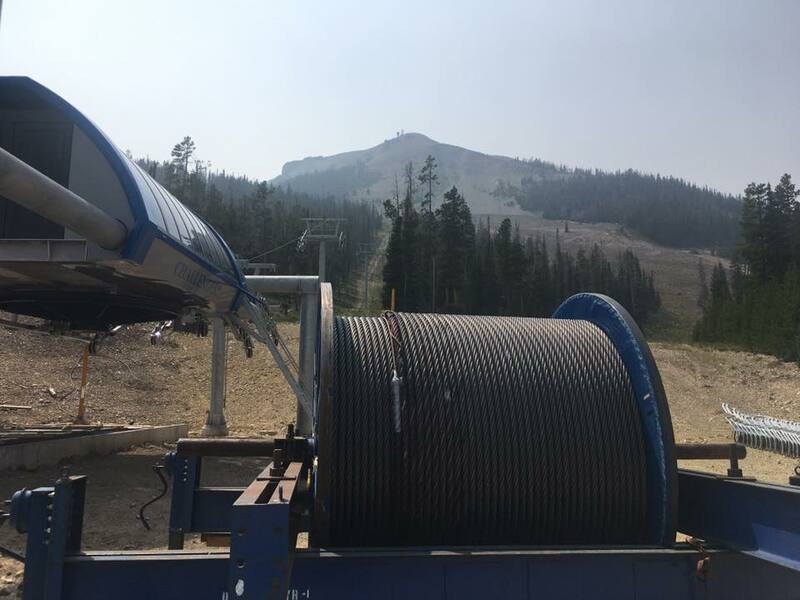 Just four and a half months later, a grand new machine stands with 13,615 feet of haul rope, 60 cabins and 16 towers coming together. 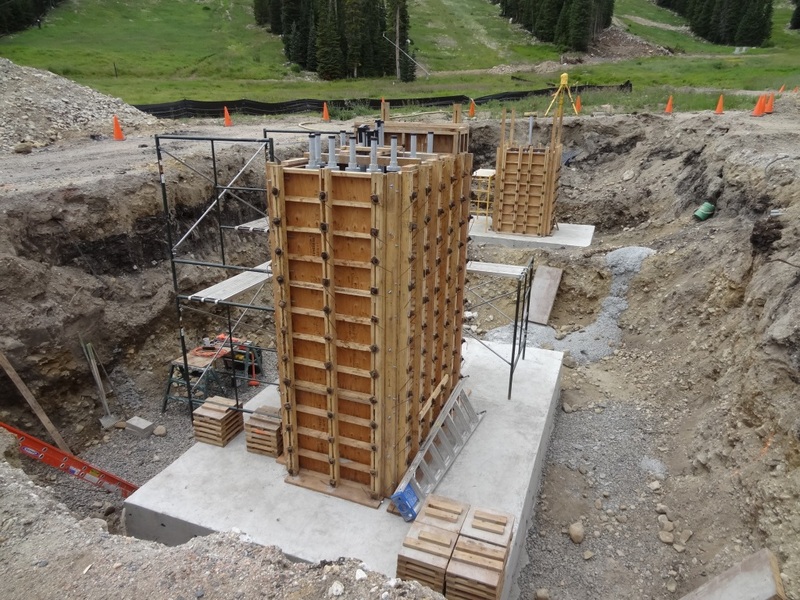 The new lift rises 1,350 feet from Discovery Lodge to the summit with super views along the way. 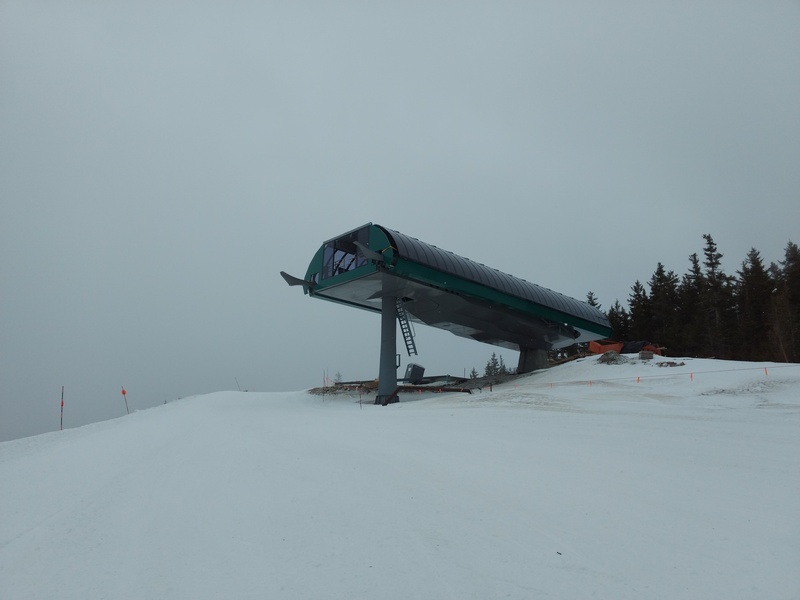 Owing $3.8 million to creditors, Deer Mountain, SD to be sold to the highest bidder in a sheriff’s sale today. 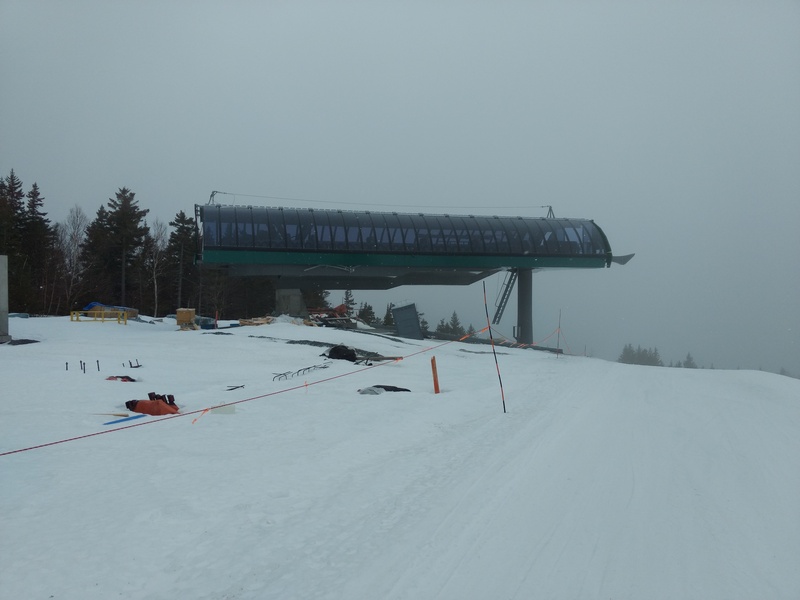 The mountain has two Riblet chairlifts. 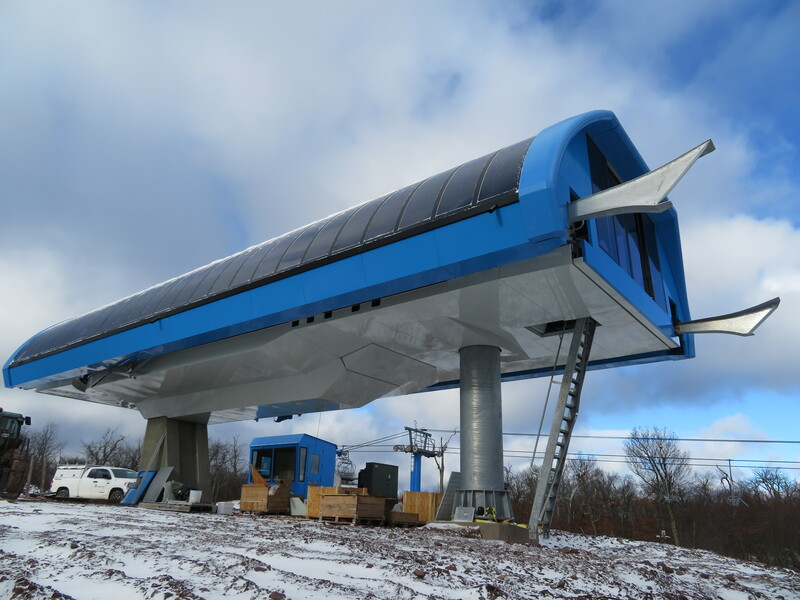 Curbed counts down 11 gondolas changing the way people move through cities. 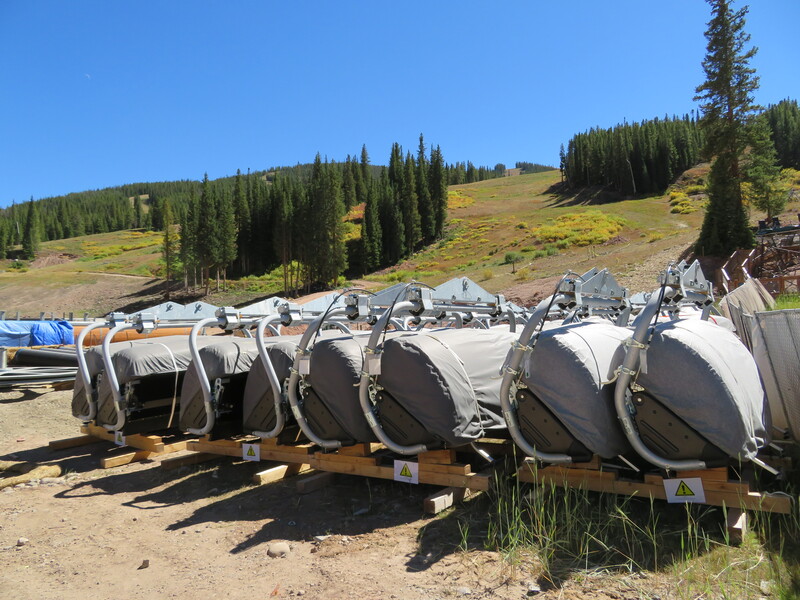 Taos offloads 200 chairs from lifts 5 and 6 for $200 each with proceeds going to hurricane relief. 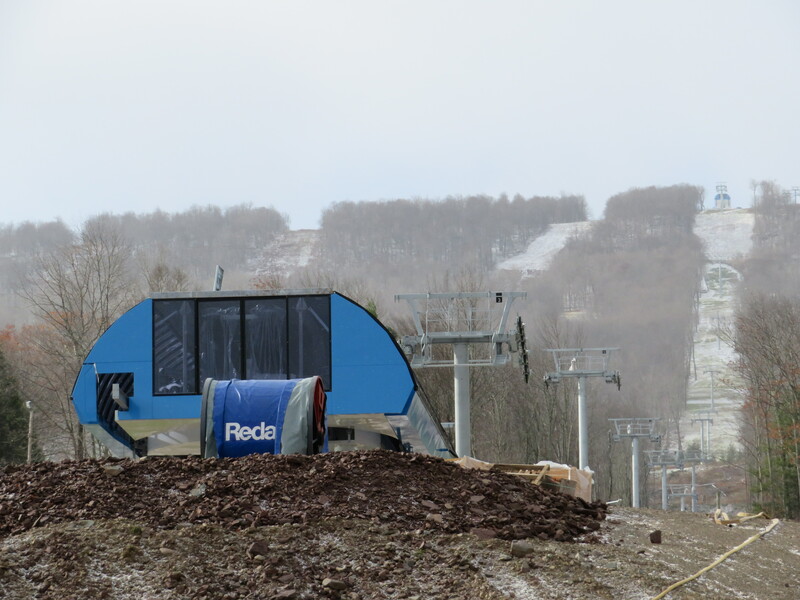 As of this writing, 37 remain. 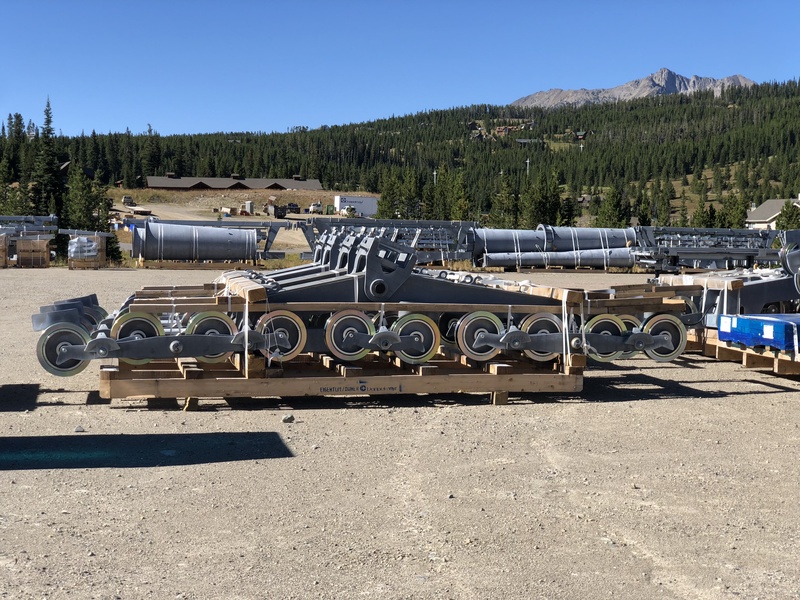 Leitner Ropeways’ new gondola at the world’s largest hotel transported 3.5 million passengers in its first eight months. 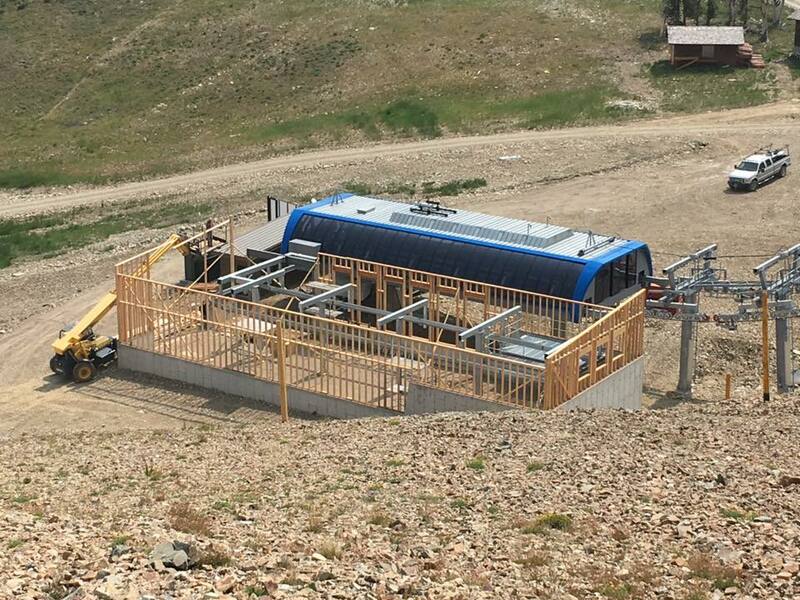 Aspen Mountain installs Bluetooth speakers in Silver Queen Gondola cabins. 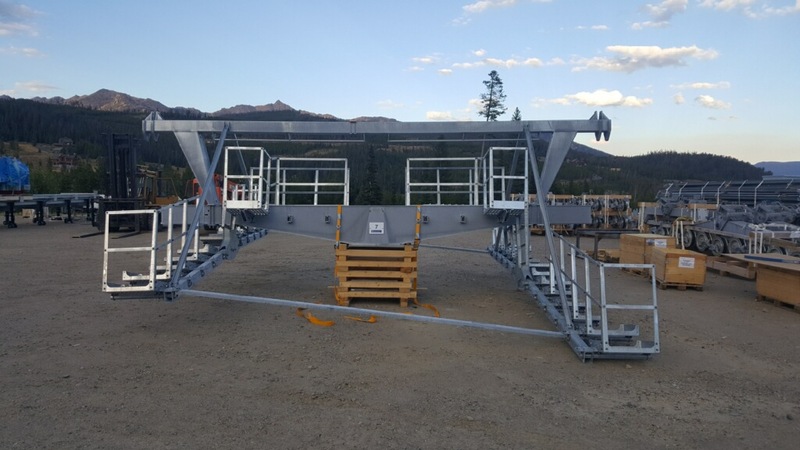 China Peak completes its first quad chair, the old Elkhead from Steamboat. 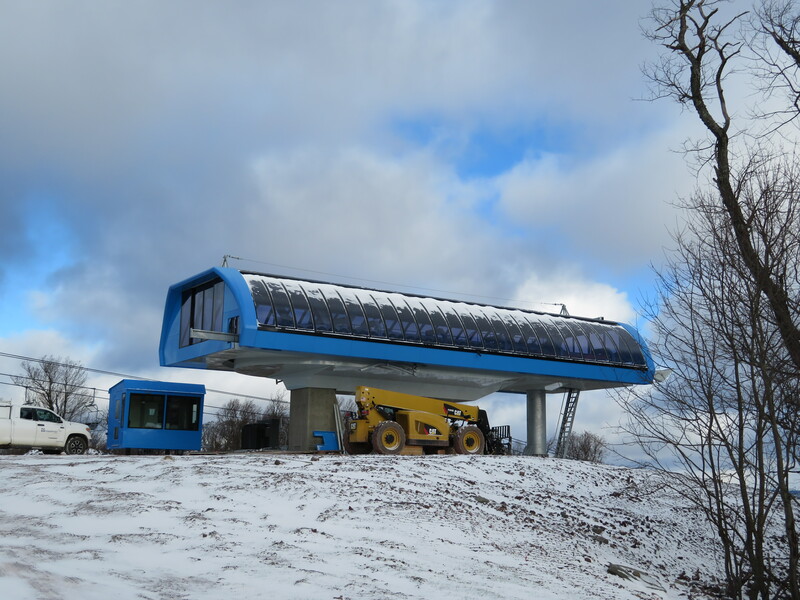 The Burnaby Mountain Gondola is back on the table. 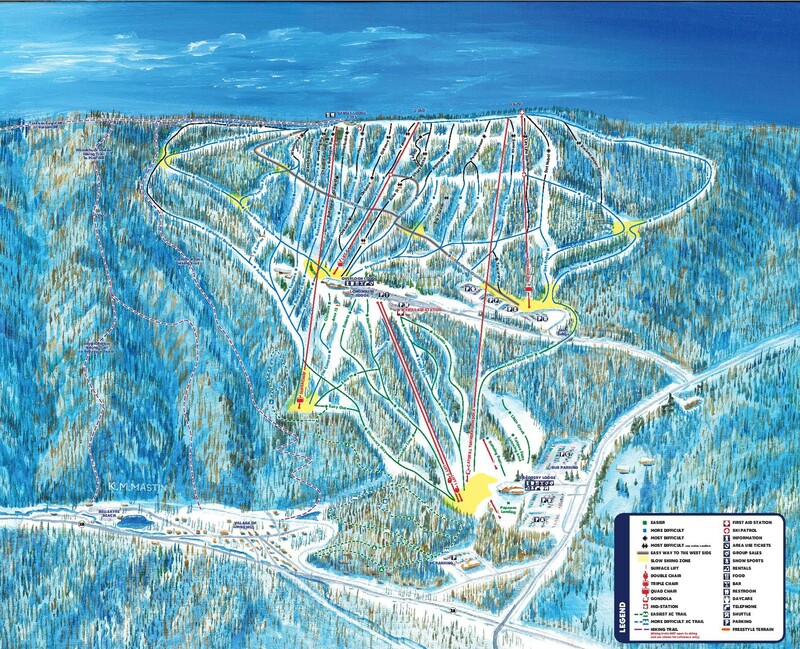 Leitner-Poma of America inks contract to build a US$7.1 million high-speed quad at Falls Creek in Australia. 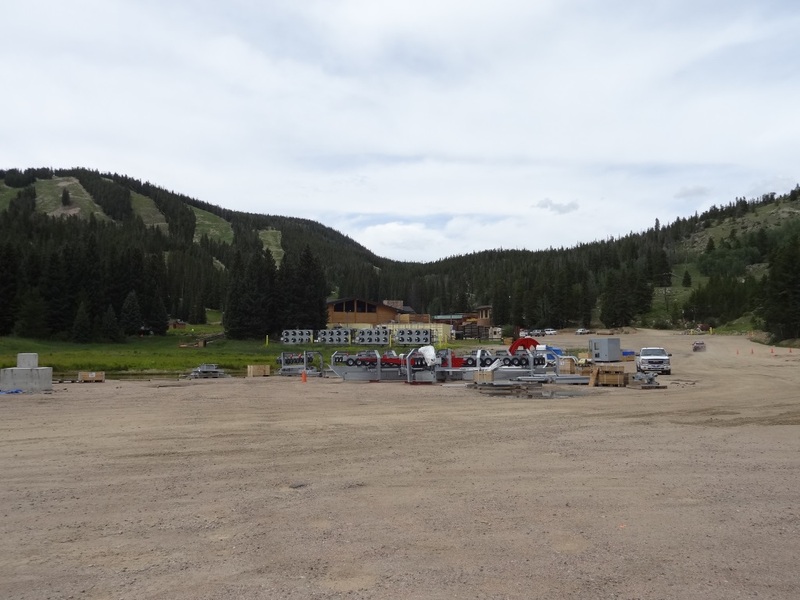 Vail Resorts launches interactive website with lift downtime and wait time data for last season at Vail, Beaver Creek, Breckenridge, Keystone and Park City. 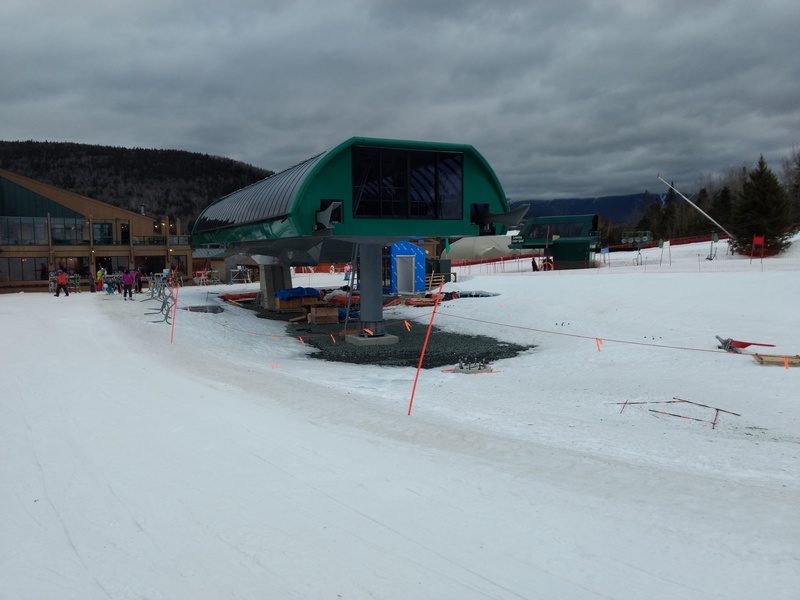 Belleayre’s gondola cabins arrive from across the pond. 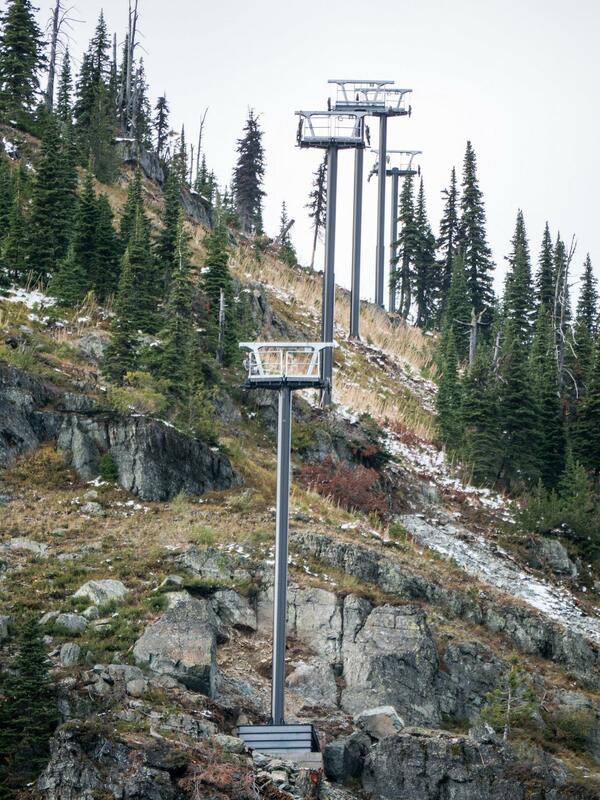 Unfortunately, the name of the lift is spelled wrong on all of them. 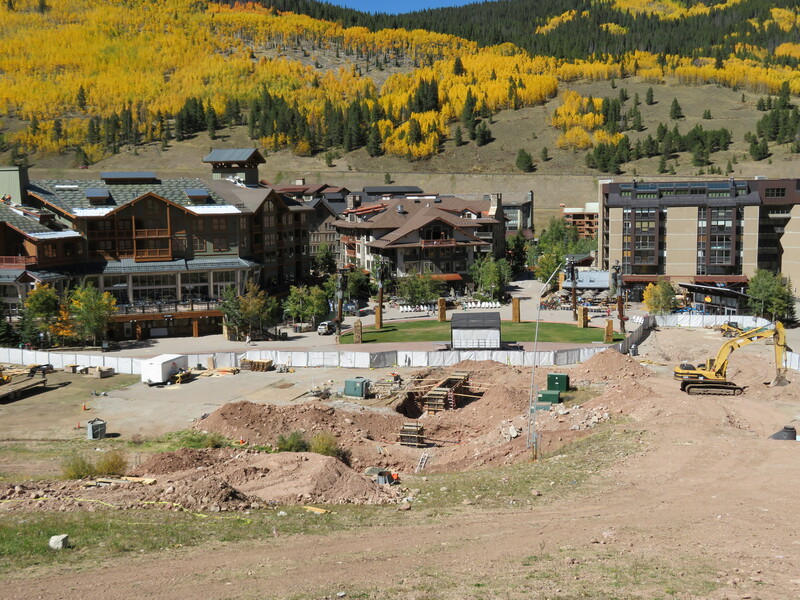 Ski Magazine predicts the KSL-Aspen duo will benefit skiers with a second Epic-style season pass and major resort upgrades. 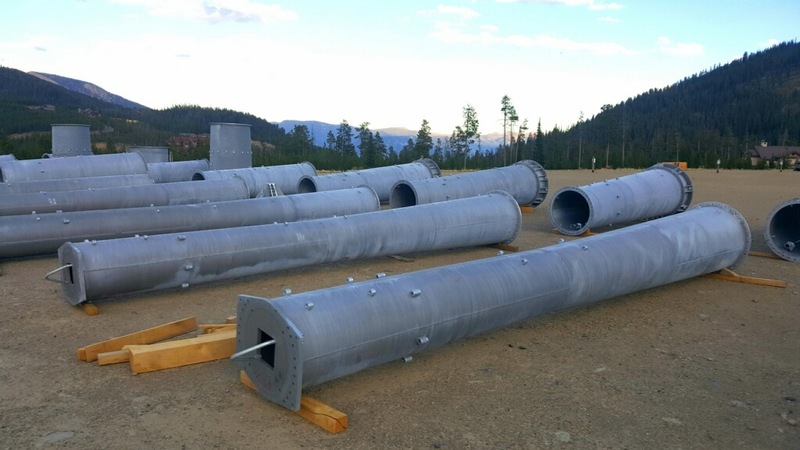 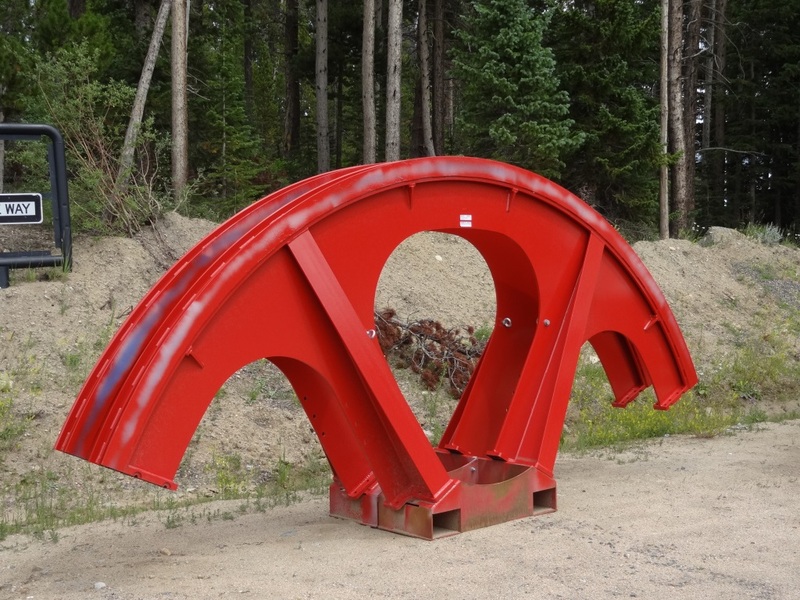 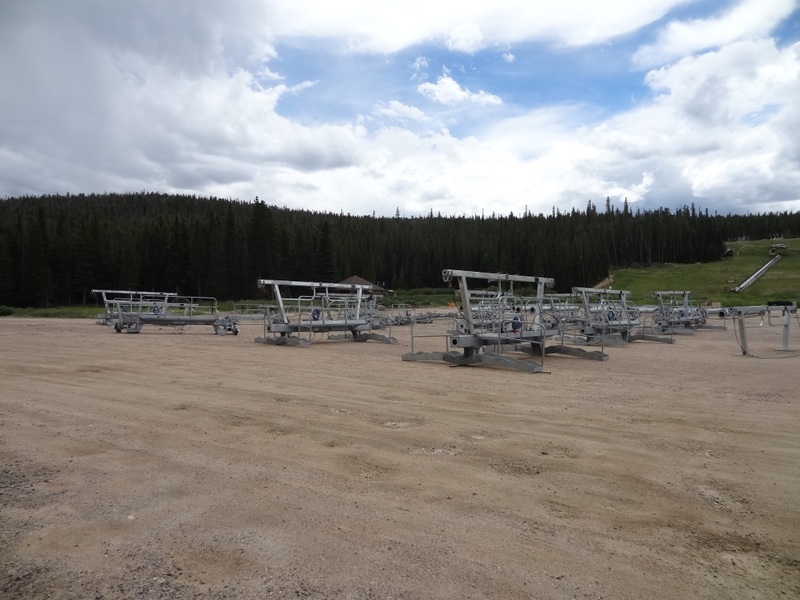 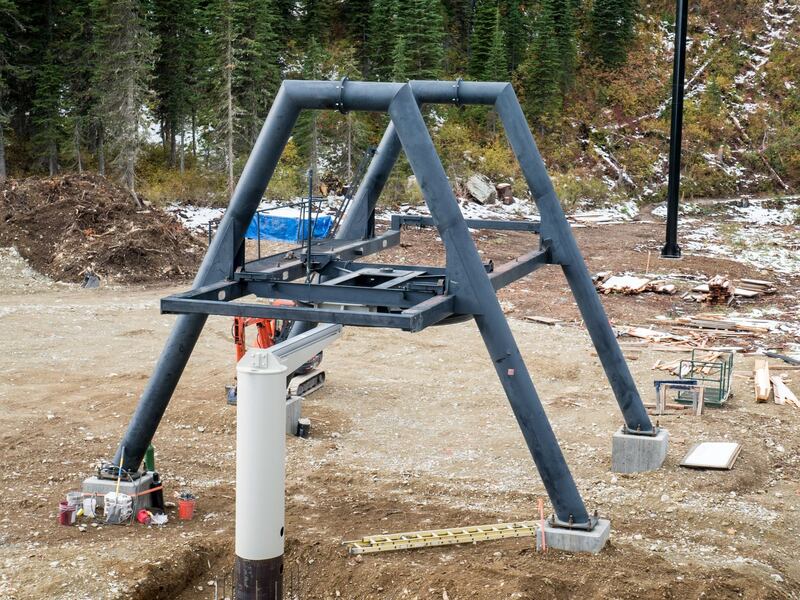 Skytrac and Timberline Helicopters fly towers for the new East Rim lift at Whitefish. 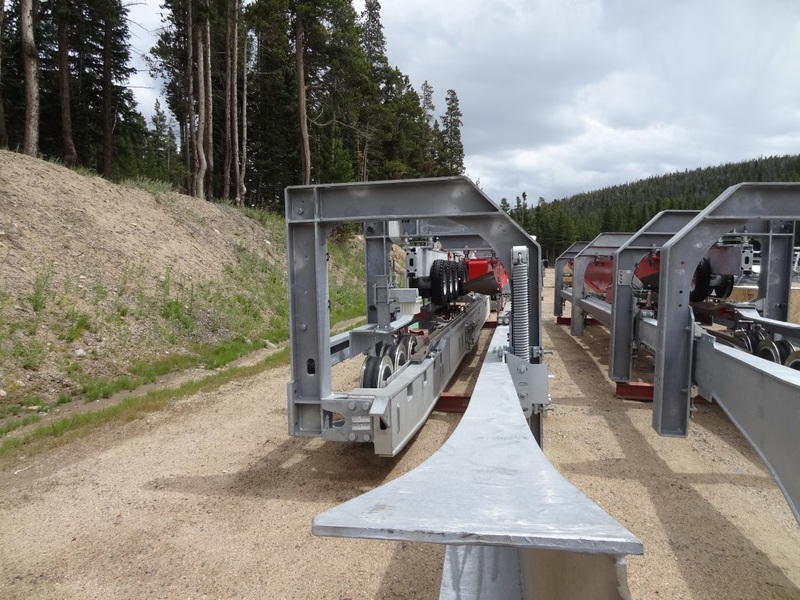 Thanks Buzz D. for these cool photos. 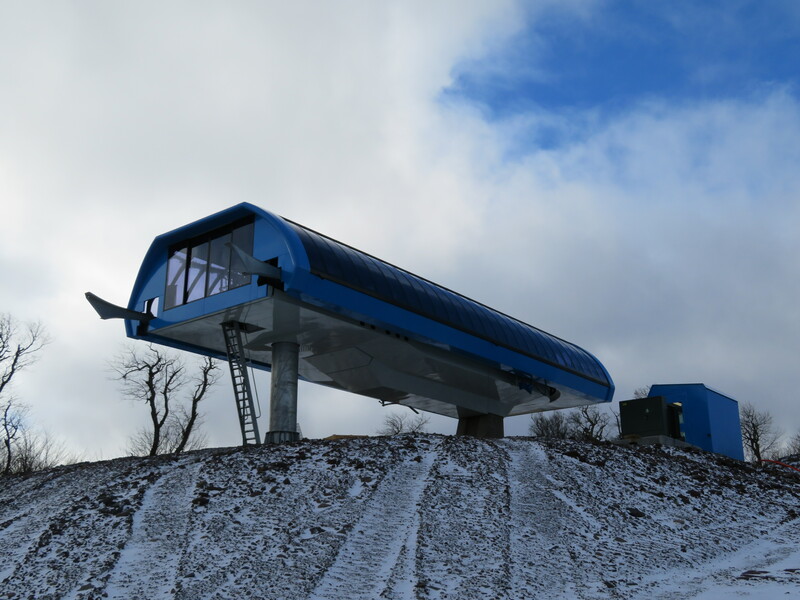 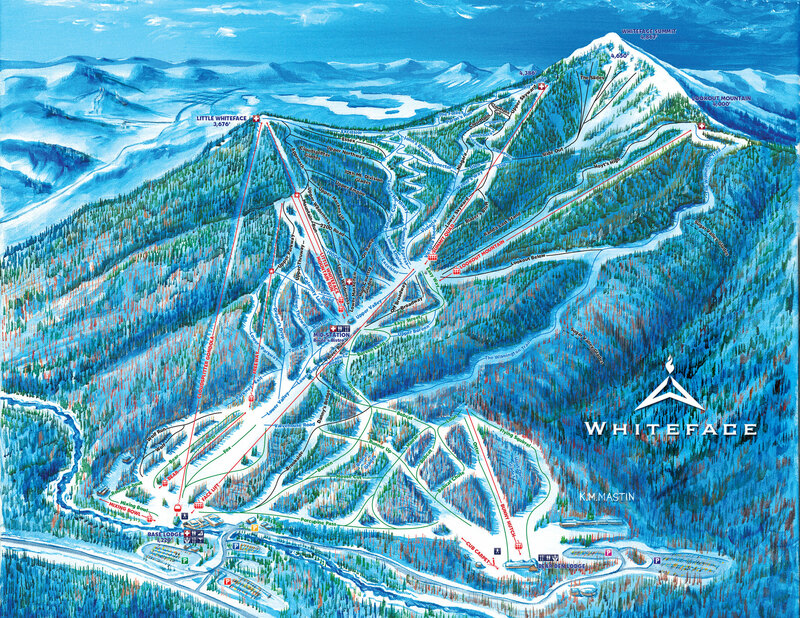 Belleayre’s new gondola may not have much vertical but will be more than 6,700 feet long. 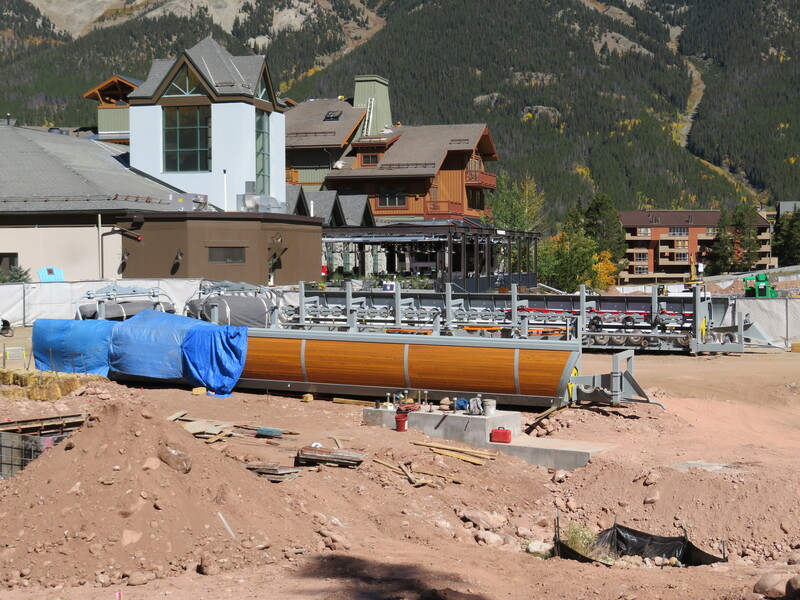 New photo tours of the upcoming Orange and White lines in La Paz show how gondolas can be adapted to the urban landscape with innovative station designs. 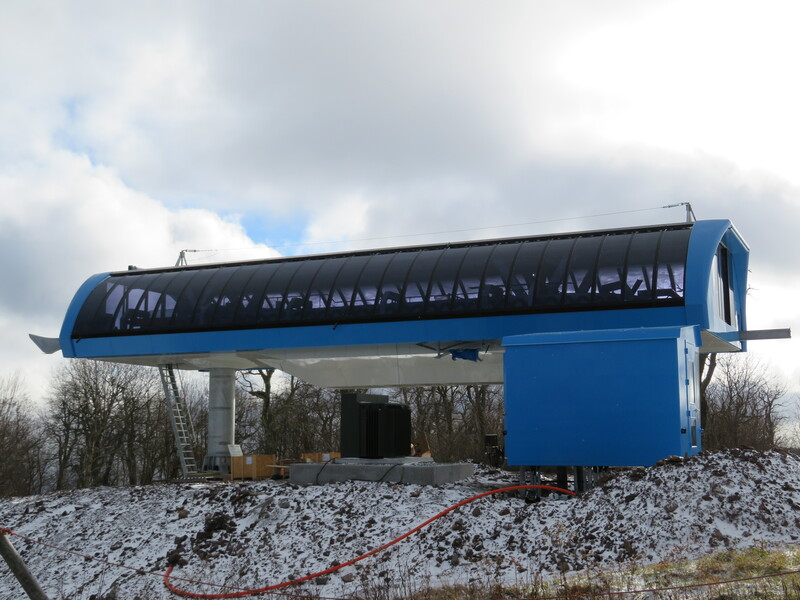 Urban gondolas were profiled prominently in Sunday’s New York Times. 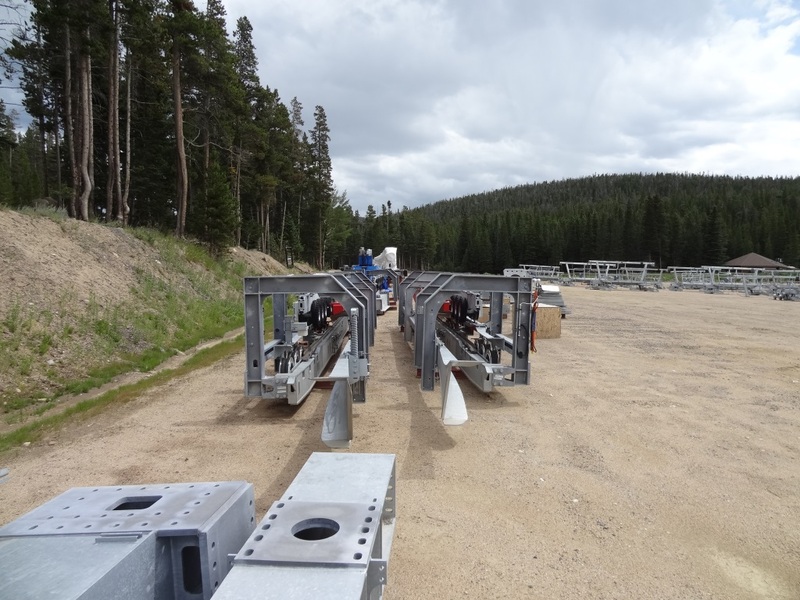 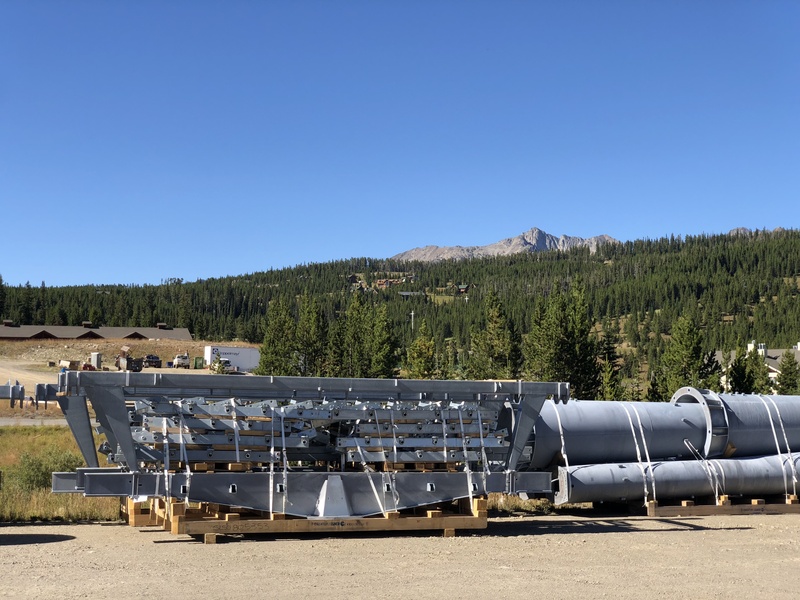 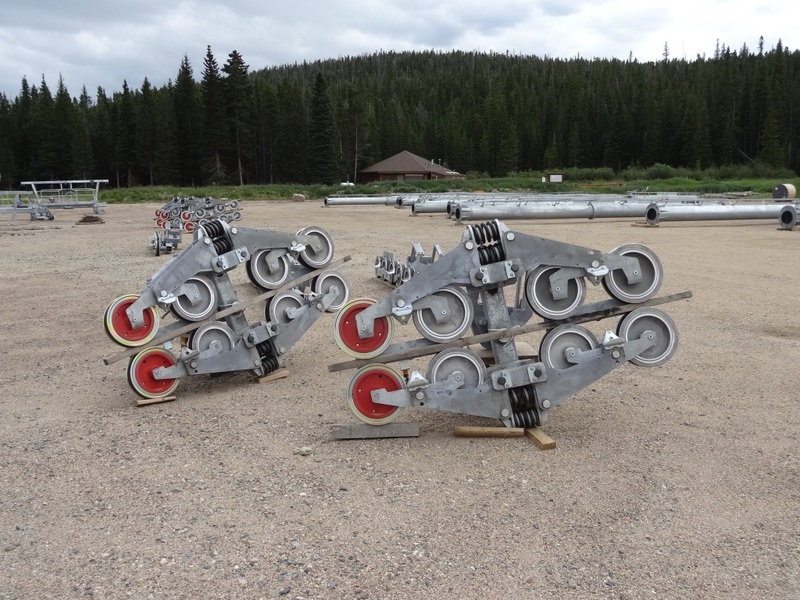 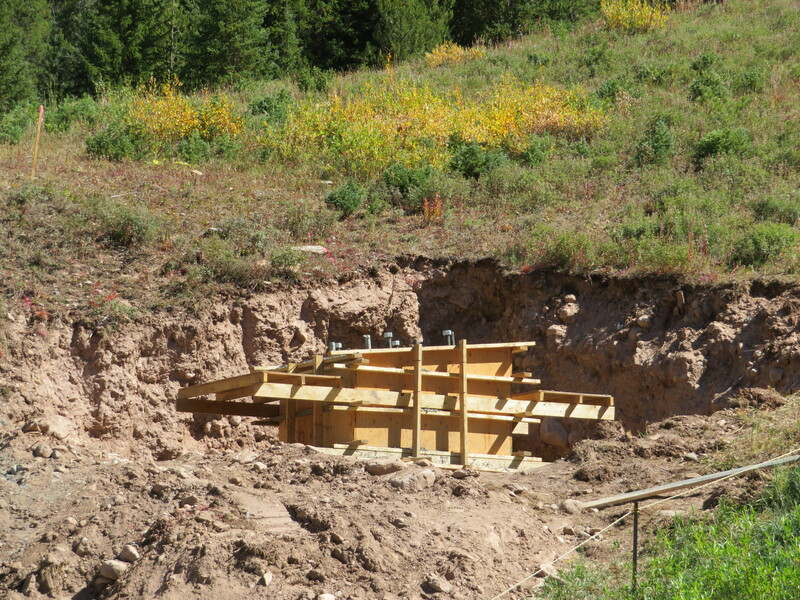 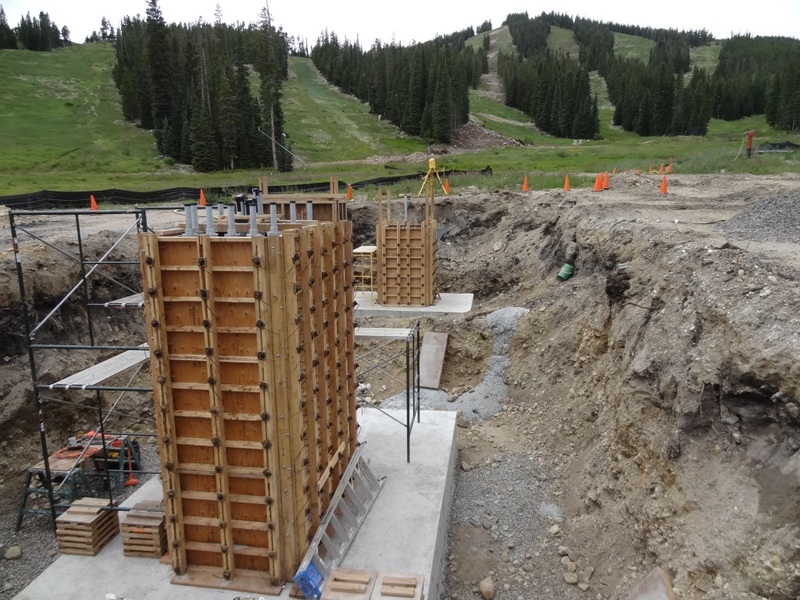 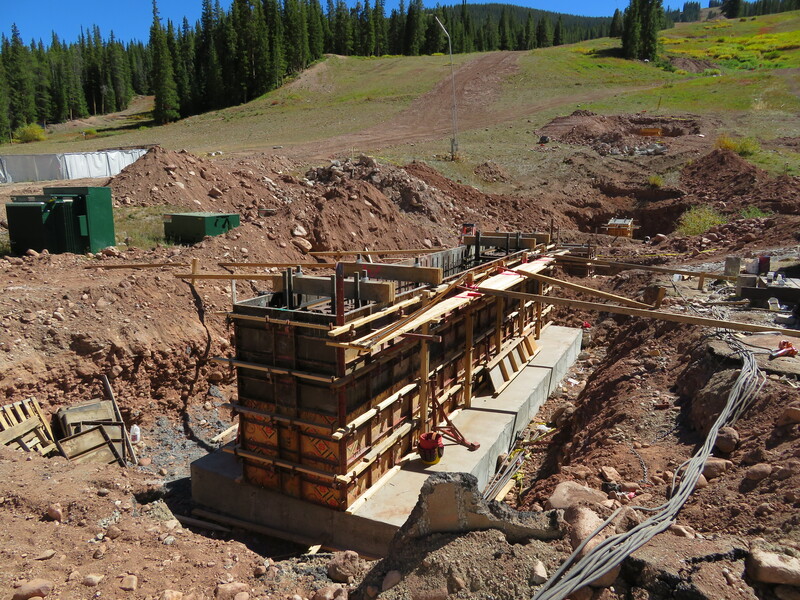 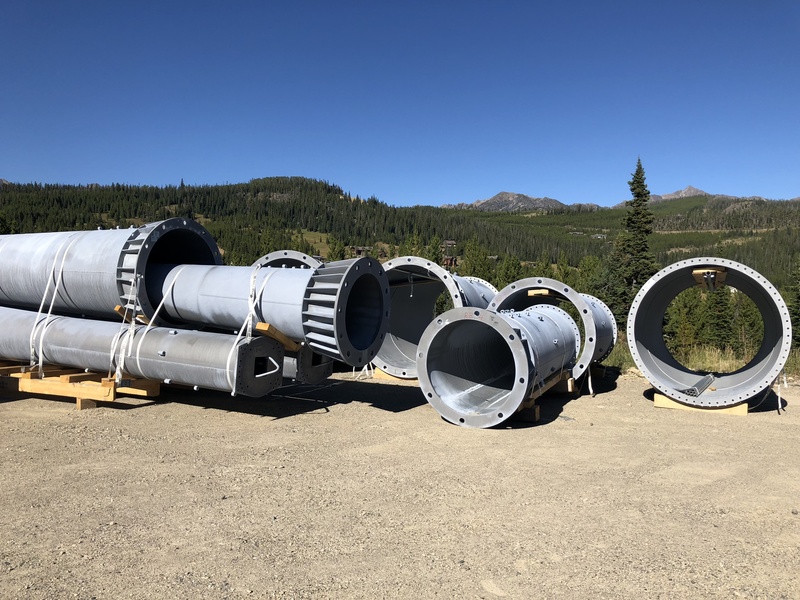 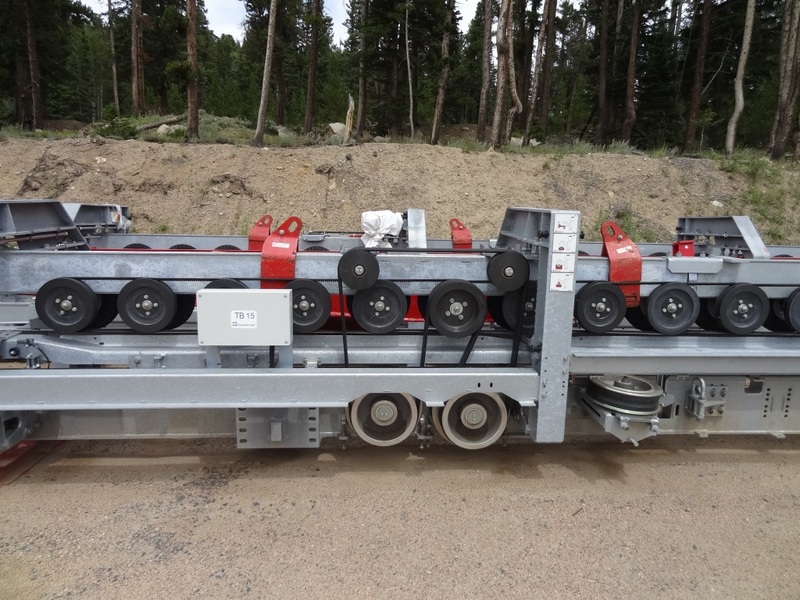 Skytrac will finish the Stagecoach lift at Big Sky this fall, a project which Moonlight Basin began in 2008. 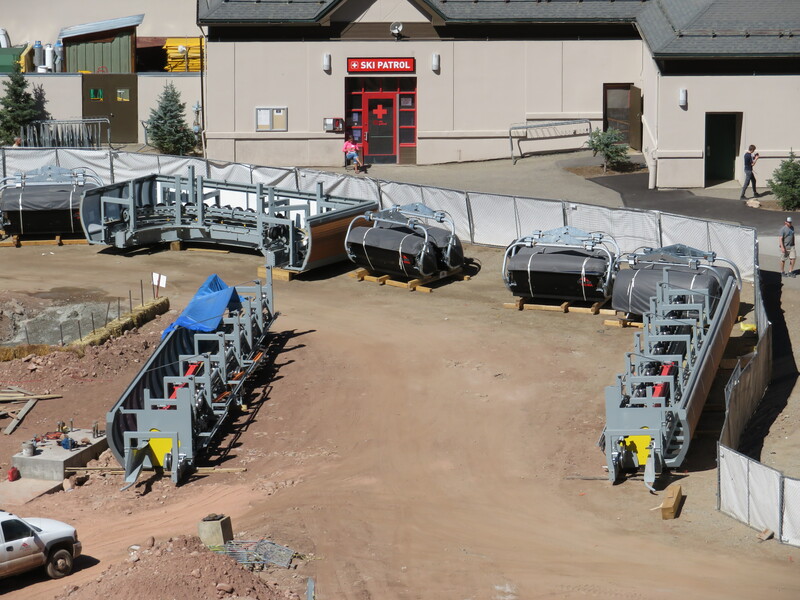 In addition, Challenger and the Tram are getting new haul ropes and Powder Seeker a chair storage facility. 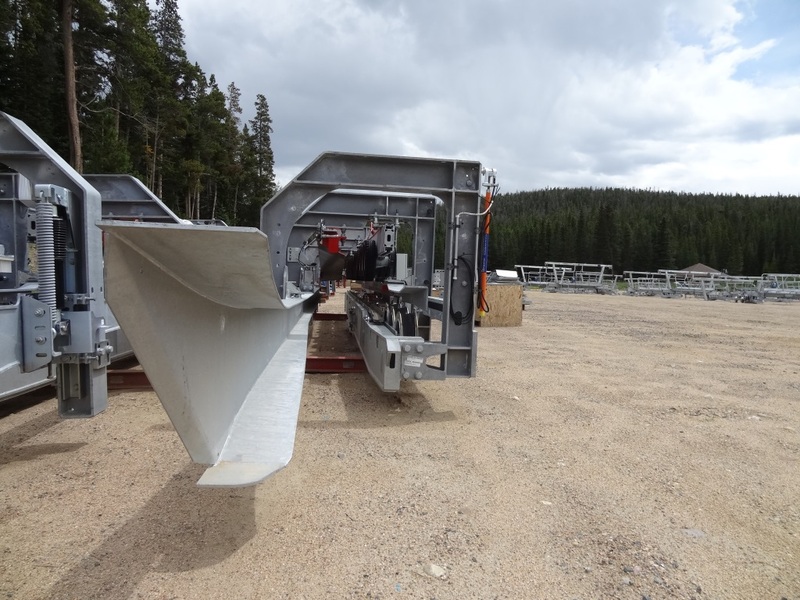 Thanks William Bryan for the photos. 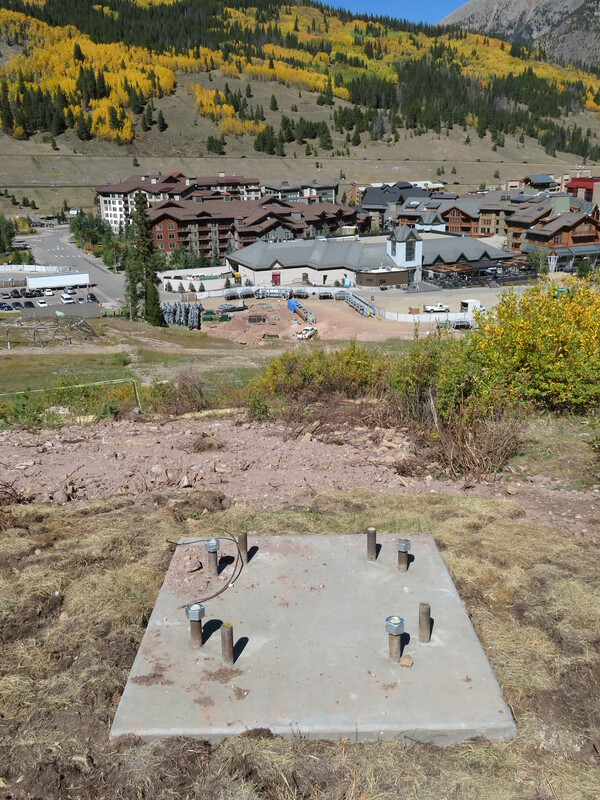 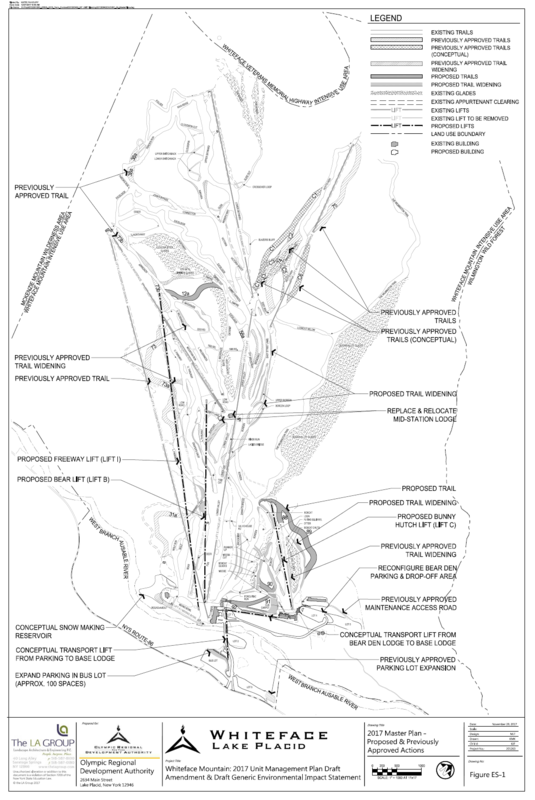 At Spanish Peaks, the Flatiron lift will be next to go in. 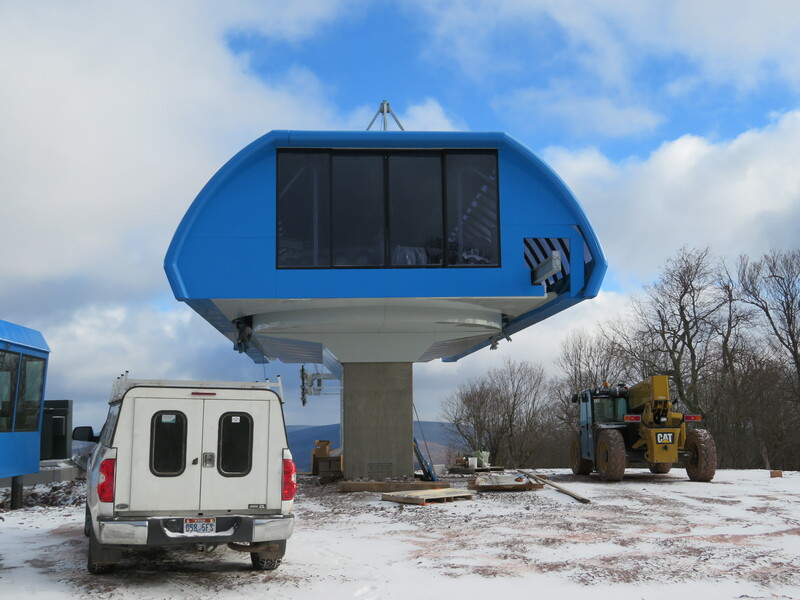 BMF drops one of the Brest Cable Car’s cabins from a crane while performing annual maintenance. 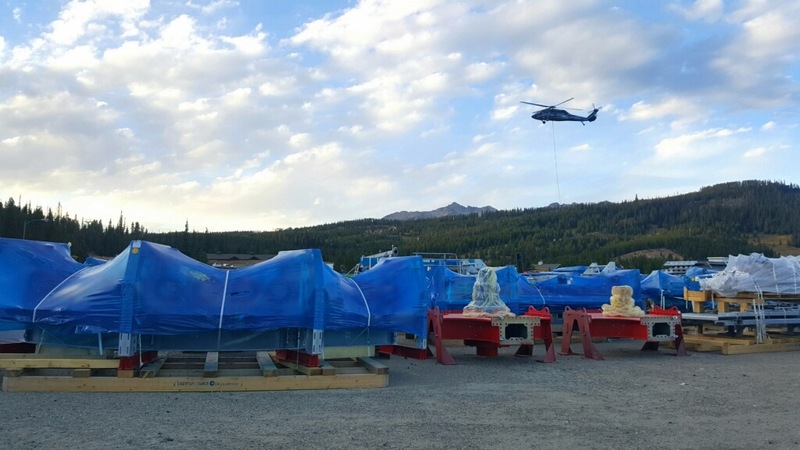 One-cabin operation will continue while Gangloff builds a new one over the next six to nine months. 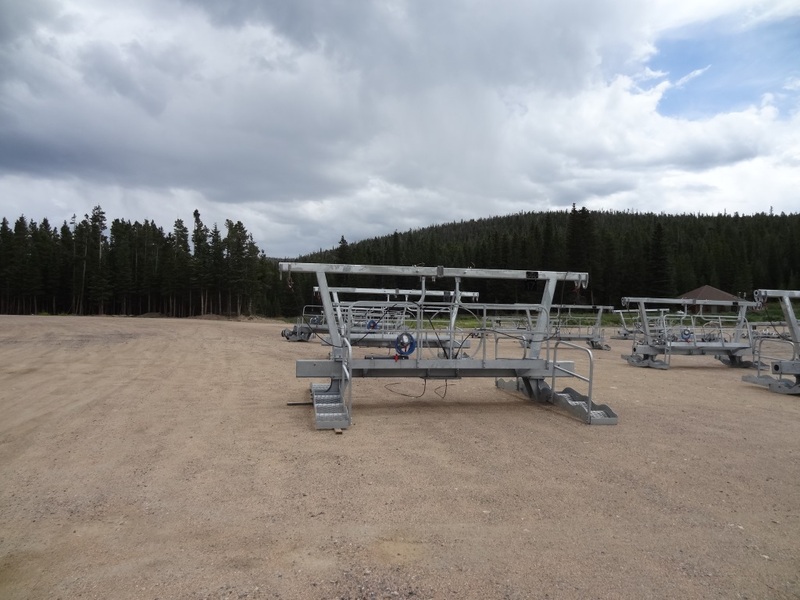 Taos releases renderings of its re-imagined learning center featuring new Leitner-Poma and Skytrac lifts.